You know how in Pandemic you’re working together to try and save the world from 4 deadly diseases that are quickly spreading to cities all over the world and if you don’t act fast, plan ahead and work together you’ll probably fail. Well Plague Inc is basically the complete opposite. You’re working on your own playing as a bacteria or virus and trying to mutate yourself to become the most effective killing machine in hopes that you will cripple countries across the world and literally completely kill them dead, and you know what, it’s damn good fun! Plague Inc is based on the 2012 video game that sees you trying to wipe out the world’s population by any means necessary, except now it’s a competition, a deadly, disgusting competition. Want to add insanity to your crazy little concoction, go head. Feel the need to make peoples noses bleed, knock yourself out. Why not add some vomiting, or just straight up put people in comas. The world is your petri dish providing you have the DNA points to spend. Collect DNA points based on how many countries you control – if you have a majority of plague tokens in a country, you control it. Choose a country to add to the board – draw cards from deck, or choose a face up card and place them on the board. Evolve your disease – add new traits to your disease by spending DNA points and using your trait cards. Infect other countries – your disease will have an infection rating which will allow you to place more plague tokens in countries providing you have the right kind of disease traits i.e. airborne. And finally try to kill off a country that is completely overrun (all plague token spaces full) and you control it, using the aptly named ‘Death Dice’. It’s not quite as simple as just making your disease super deadly though, you will also need it to be infectious and resistant to certain climates like hot and cold temperatures. 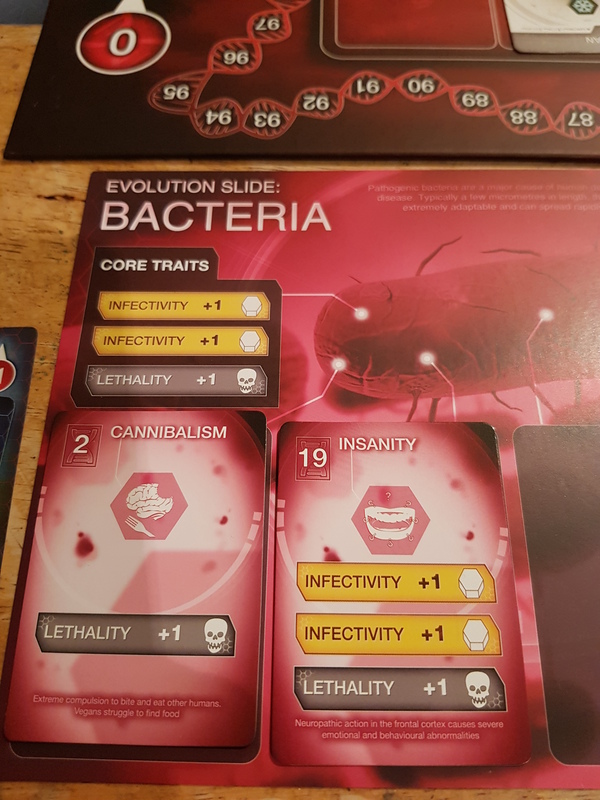 At the start of the game you will have a hand of 5 trait cards, these are the evolution’s you can make, each on has a DNA cost displayed on the card, if you don’t like what you’ve got then you can trade them in at the country adding phase instead of placing a new country on the board. The beginnings of the zombie apocalypse? My first disease bared a striking resemblance to zombies; it included cannibalism and insanity early on, this made it very deadly and infectious, but it couldn’t spread to new countries all that well. So for any continent that I was already in, I was able to spread fairly well and kill countries with relative ease, but if I wanted to head overseas, I needed either a waterborne or airborne mutation to allow it to head to other cities that contained the port or airport markers. This is where Plague Inc becomes a lot of fun. Mixing up your traits to create the perfect balance of being able to spread and also be able to wipe out countries is the key to success. You have the option to switch out traits, so if you’re finding that you need to be airborne to access a new continent, then you can swap out another trait for something that allows that. If you do eventually wipe out a country, then you will gain bonus DNA points plus an event card which can offer you random bonuses like being able to move around other players plague tokens, move your own, stop people from performing certain actions etc… They basically amount to being ‘These are the cards I’m going to use to screw my friends over’ cards, which ultimately makes you laugh hysterically as you thwart someone’s carefully planned out move in the blink of an eye. What I really like about Plague Inc is that it’s easy to learn, but has a nice level of depth in play. Plus there isn’t too much randomness to the game either, if you’ve got a plan, there’s a good chance you can execute it. There are no dice deciding whether you can spread to different countries, you just pick one and providing your disease will ‘work’ there, off you go. The only time a die is used, is for killing a country, but even that doesn’t have to be too random, because if you create a stupidly lethal virus – lethality rating, you will only need to roll equal to or less than that number to succeed, so if you have 5 lethality, chances are you’re going to kill countries most of the time! It feels like the success of your game is in your hands and not in the hands of luck. 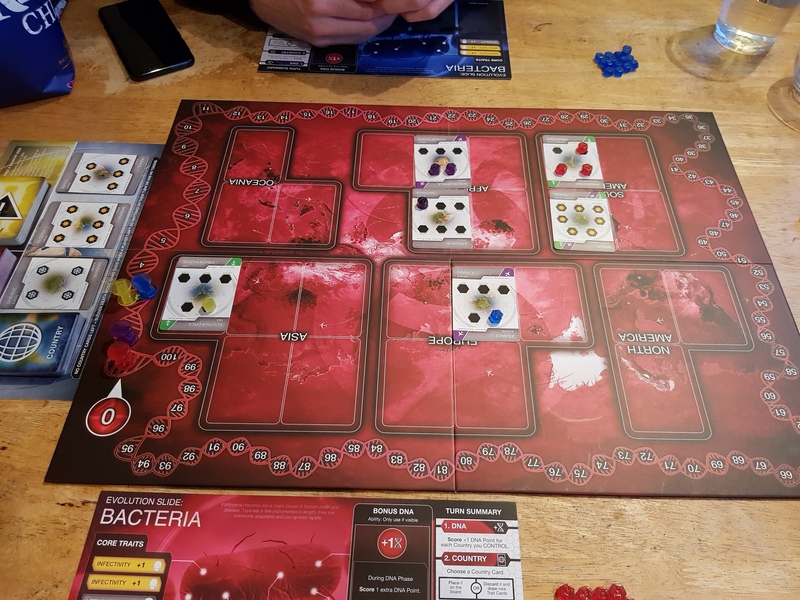 Another thing that I found interesting was that it’s hard to keep track on who’s winning, a lot of games have the points counter around the edge of the board, Plague Inc has this too, but because you’re also spending these points – DNA, on traits, that counter is constantly moving. You get additional points for killing off countries and other things, so until the game ends, it’s kind of tough to know who’s going to come out victorious. It’s also very quick and easy to set up. On our first play through, we’d set up and (mostly) learnt the rules within about 15 minutes, you could easily set up a new game in 5-10 minutes. 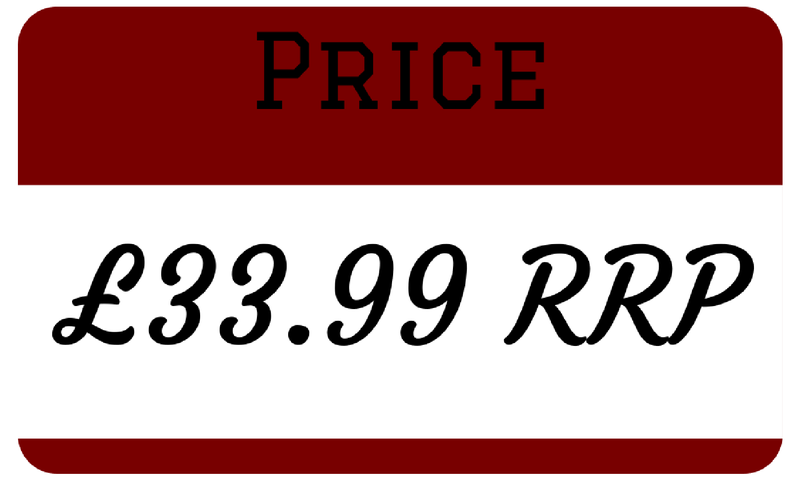 Overall, Plague Inc is a great game that serves up the right balance of competitiveness, strategy and accessibility, with a solid quality and execution throughout. I can see it making a lot more appearances at the table and my group shared the same sentiments. We’d probably enjoy this. 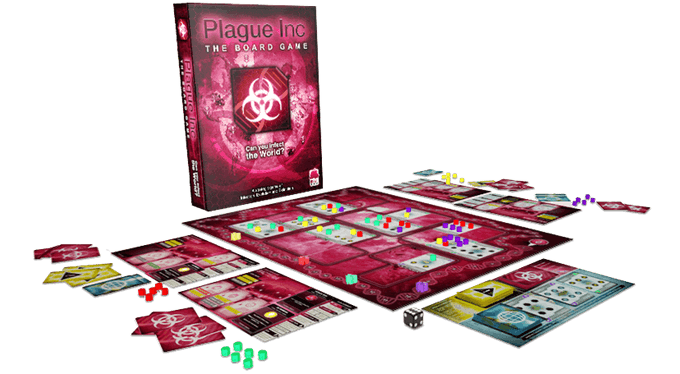 Pandemic regularly comes to the table so this would be a good way to mix it up whilst keeping in the same wheelhouse. It’s very similar in design to Pandemic too. You’d be forgiven if you thought it was made by the same people. I did have fun with Plague Inc on my phone. So much so that I picked up the PC version too (for Steam Workshop goodies). I’ll ask around the family and see if people fancy playing this.